Diagnosis And Treatment Of Tuberculosis By The Directely Observsed Treatment Shortcourse (DOTS): A Case Study Of Nembe Comprehensive Health Centre TB Treatment Unit, South-South Nigeria. Department Of Medical Laboratory Sciences, College Of Health Technology Otuogidi-ogbia , Bayelsa State. Department Of Health Information Management, College Of Health Technology Otuogidi-ogbia , Bayelsa State. Department Of Pharmarcy Technician Studies, College Of Health Technology Otuogidi-ogbia , Bayelsa State. All correspondence to: IGONI M ; Bayelsa State College of Health Technology: e mail; achristo40@gmail.com. The treatment of tuberculosis has evolved from streptomycin to the DOTS strategy .Even as at that it is a serious challenge. This retrospective study was carried out to evaluate the effectiveness of the method. A total of sixty seven(67) Tuberculosis cases were evaluated at the Tuberculosis Treatment centre Nembe comprehensive Health Centre, Bayelsa state , it covered a period of four (4) years, from 2009 to 2012. Out of sixty seven cases that continued their treatment regiment to the end sixty four persons were cured and in only seven instances persons shows the ineffectiveness of the drugs by testing positive to the bacilli during chemotherapy. It is therefore recommended for community and family based treatment. Key words: DOTS, Cured, treatment completed and treatment failure. Tuberculosis, a major health challenge and leading infectious killer is caused mainly in man by Mycobacterium tuberculosis. The bacilli enters the body by inhalation of droplets or dust particles containing it. 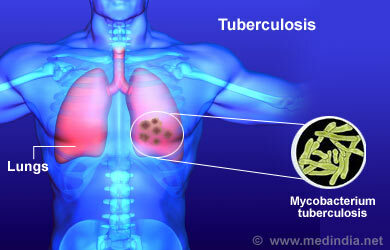 It occurs as pulmonary tuberculosis or non- pulmonary tuberculosis. In pulmonary tuberculosis the pulmonary aveoli and surrounding lymph glands are lodged by the bacilli resulting in lesion characterized by acute inflammatory reactions with accumulation of fluid and white blood cells around the aveoli, while the non pulmonary tuberculosis includes the renal and urogenital tuberculosis, military tuberculosis and tuberculosis meningitis with varying symptoms1. In sub-saharan Africa, cases of tuberculosis have increased dramatically, overwhelming control programs 2. This could be as a result of the fact that tuberculosis infection control interventions are not routinely implemented in contrast to what happens in high income countries with low prevalence of tuberculosis where infection control policy is routinely observed3. However the launch of directly observed treatment shortcourse (DOTS) in 1995 by the world health organization (WHO) has shown to be an effective intervention that will lead to reduced tuberculosis transmission and decreasing number of tuberculosis cases4,5. Also it is among the most cost-effective global health interventions available today6,7. The DOTS strategy is based around a short-course treatment regimen for a minimum of six months of four drugs in combination (2 months of Isoniazide, Rifampicin ,Pyrazinamide and Ethambutol), a good management practice, sputum smear microscopy for diagnosis and the direct observation of doses to ensure adherence. Treatment success under DOTS concerns two outcomes- cured and treatment completed: “cured” if patient finish the treatment regimen with negative bacteriology at the end of the treatment whereas “treatment completed” refers to patients who have finished the regiment in full without showing evidence of treatment failure and without negative bacteriology. This treatment regiment however use to suffer from a number of drawbacks, with the combination of available drugs, the duration of treatment cannot be reduced below six months without a significance in relapses although re-infection with a different strain of mycobacterium tuberculosis can cause tuberculosis recurrence, which is considered to be an important measure of efficacy of tuberculosis treatment8,9. Also when treatment is given under sub-optimal conditions, regiments are associated with high rate of patients non-adherence specially in low income countries which harbor high burden of diseases10. The consequence of this is increased mortality and creation of clinic infections, drug resistant cases. The World Health Organization estimates in 2004, 424,203 cases of multidrug resistant tuberculosis globally among which 181,408 cases occurred in patients who had already been treated with standard (first line) therapy11. This study was therefore carried out to determine the effectiveness of DOTS (Directly Observed Treatment Short course) on tuberculosis in the Nembe Local Government Area of Bayelsa state south-south Nigeria. Setting Comprehensive Health Centre Nembe, is situated in Nembe, the headquarters of Nembe local government area, about eighty kilometers south-east of Yenagoa the capital of Bayelsa State, Nigeria. Patients were given sterile wide mouthed plastic containers which they voided sputum into. Three specimens were collected from them over a two days period (spot, early morning and spot). Sputum analysis was done using the Ziehl-Neelson technique as described by cheesbrough12. upon a second and third revisit which is at the end of the fifth and sixth months respectively. For category 2 patients i.e. those who defaulted treatment or had a relapse, treatment is for seven months. Treatment on the intensive phase is for three months after which the second AFB test is done. The third and fourth AFB tests are done at the end of the fifth and seventh month of chemotherapy. Patients that absconded during treatment were not included in this work. In 2009 eighteen new cases of sputum positives were recorded (six scanty and twelve +s). Upon first revisit i.e. after intensive phase, all eighteen persons were tested smear (AFB) negative. On second revisit the same feet was recorded. In the last revisit seventeen tested negative while one patient was AFB positive: table 1. 2011. Eight of them were graded +, while one patient had 2+ and another 3+. Seven persons tested AFB negative upon the first revisit and one patients sputum was positive. In the second and third revisits, all eight patients had there AFB test negative. i.e. in 2011 eight persons were cured of tuberculosis in the treatment center. We wish to express our heartfelt thanks to God almighty for his abundance grace to carry out this research and the strength to stand it all, without him nothing would be done. We also greatly appreciate the provost of the Bayelsa State College of Health technology, Dr Adias T. Charles for his inspiration and motivation. Also, the research and manpower development department of the College was involved with the funding. Finally we thank the staffs of the comprehensive health centre Nembe, Bayelsa State.